Tsu (津市, Tsu-shi) is the capital city of Mie Prefecture, Japan. As of August 2015, the city had an estimated population of 279,304 and a population density of 393 persons per km2. The total area was 711.11 square kilometres (274.56 sq mi). 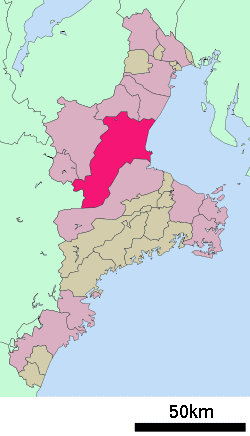 Tsu is located in east-central Kii Peninsula, in central Mie Prefecture. It stretches the width of Mie Prefecture, and is bordered by Ise Bay on the Pacific Ocean to the east, and Nara Prefecture to the west. 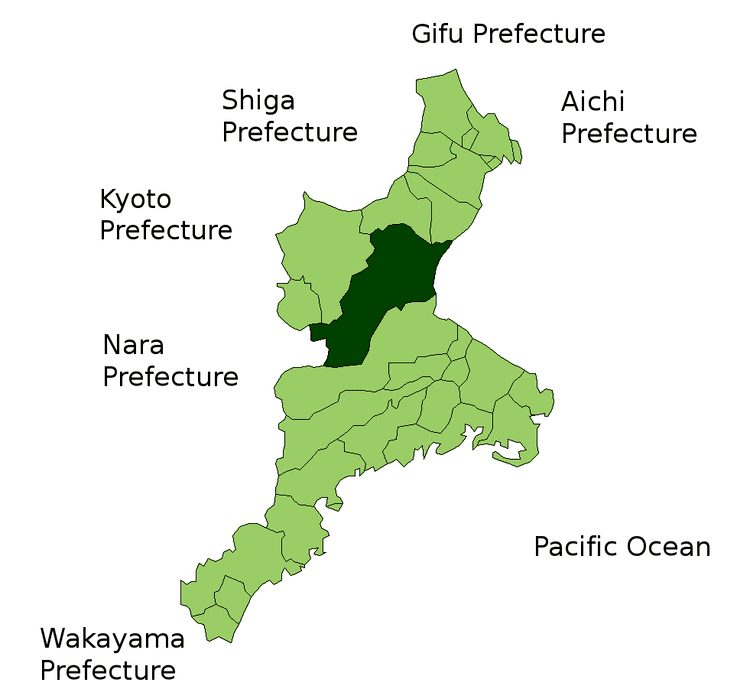 Parts of the city are within the limits of the Murō-Akame-Aoyama Quasi-National Park. Tsu has a humid subtropical climate (Köppen climate classification Cfa) with hot summers and cool winters. Precipitation is significant throughout the year, but is heaviest from May to September. Tsu originally developed as a port town known as Anotsu (安濃津) in the Nara and Heian periods. The port was destroyed by a tsunami in the 1498 Meiō Nankaidō earthquake. The town was rebuilt as a castle town and a post station by the Tōdō clan, daimyō of Tsu Domain under the Tokugawa shogunate. 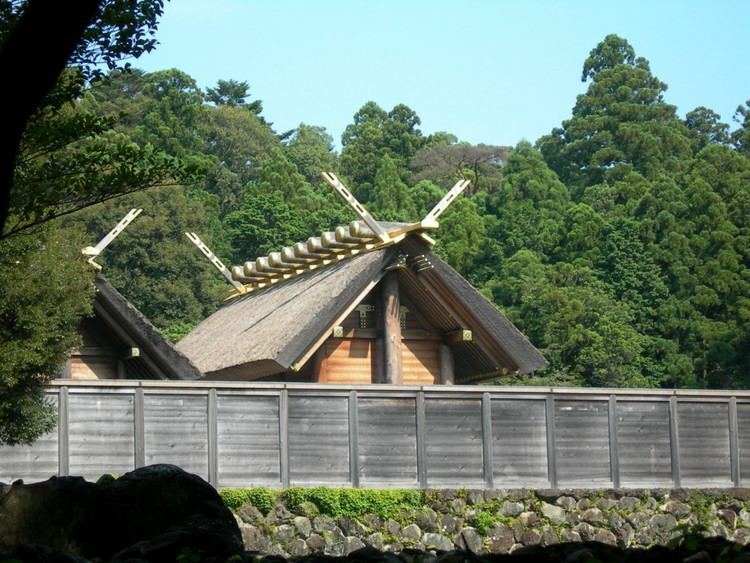 During the Edo period, it became a popular stopping point for travelers to Ise shrine, about 40 km to the southeast. Following the Meiji Restoration, it became the capital of Mie Prefecture in 1871. With the establishment of municipalities on April 1, 1889, Tsu was one of original 31 cities to be proclaimed. On January 1, 2006, the neighboring city of Hisai, the towns of Anō, Geinō and Kawage, and the village of Misato (all from Age District), the towns of Hakusan, Ichishi and Karasu, and the village of Misugi (all from Ichishi District) were merged into Tsu. As a result of the merger, the city became the second largest in Mie by population behind Yokkaichi, and became the largest in Mie by area ahead of Matsusaka. Imuraya Confectionery, a confectionery company, and ZTV, a cable television operator, are headquartered in Tsu. Mie University, the prefecture's only national university. The city also has six special education schools. Tsu is famous for its Tōjin Odori (唐人踊り), a festival commemorating the arrival of the Joseon Tongsinsa delegation from Korea during the feudal period. There are two other cities that celebrate Tōjin Odori: Suzuka city in Mie Prefecture and Ushimado-chō in Okayama Prefecture. The ruins of Tsu Castle have been made into a downtown city park. Kitabatake Shrine and Yūki Shrine are notable local Shinto shrines.